Being arrested fills most people with a number of uncomfortable emotions including fear, stress, and confusion. To make matters even more difficult to navigate, things tend to develop quickly following an arrest, and in many cases, it can be difficult to understand what to do. As a result, many people find that it is tempting to accept a plea offer that is made by law enforcement. There are some serious factors to consider, however, before agreeing to a plea bargain. It is important to make certain that you are receiving the best possible agreement before accepting a plea deal. The following will review some important things to consider before accepting a plea deal. There are several distinct advantages to a plea bargain. The most obvious benefit is that a person might receive a lesser sentence than if the case proceeds to trial. Another benefit of plea bargains is that defendants are sometimes able to spend less on attorney’s fees. A third advantage is that a person is sometimes able to resolve the whole matter more quickly than he or she otherwise would. Given the penalties that might result from a conviction, it can be tempting to accept any plea deal that you are offered. It is important to remember that by offering a plea deal, the prosecution is often not interested in representing your best interests. In some situations, the prosecution might be attempting to convince you to accept a plea deal because there is not a sufficient amount of evidence to convict you in a court of law. Other times, the prosecution might be attempting to reduce their workload by resolving your case more quickly. As a result, it is important to determine if a plea offer is in your best interest or whether it would be a better idea to let your case proceed to trial. In some cases, proceeding to trial might mean that you are never charged with anything, while if you accept a plea deal, you will be convicted of an offense. Before accepting a plea bargain, it is often a wise idea to discuss it with your attorney. An experienced criminal defense lawyer can help you determine if the plea bargain you are offered is actually advantageous. Even if you are familiar with criminal law matters, a knowledgeable criminal defense attorney can help you decide if a plea bargain is a good fit. 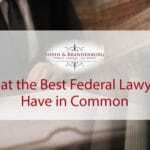 In some advantageous situations, the prosecution might realize that its case against you is not particularly strong and might offer an attractive plea bargain that can help you avoid much more severe penalties. If you have questions or concerns about whether a plea bargain is right for you, it is a wise idea to contact an experienced criminal defense attorney. 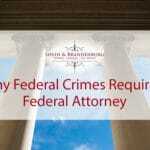 Do not hesitate to contact the Federal Criminal Defense Center for a free case evaluation. This entry was posted in Criminal Defense, Federal Pleas And Sentencing and tagged Plea Agreement, Plea Bargains. Bookmark the permalink.